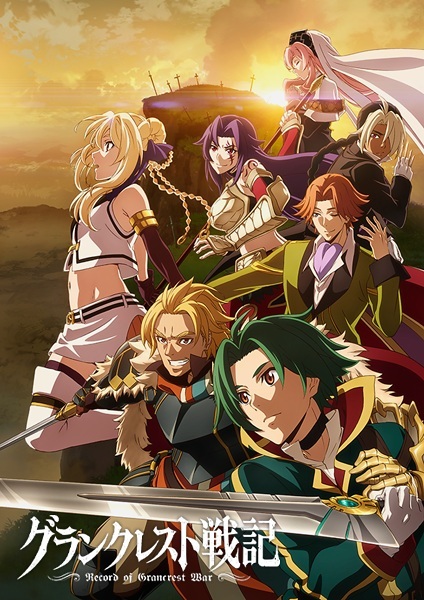 The new is upon us and with the new year comes a new season of anime! 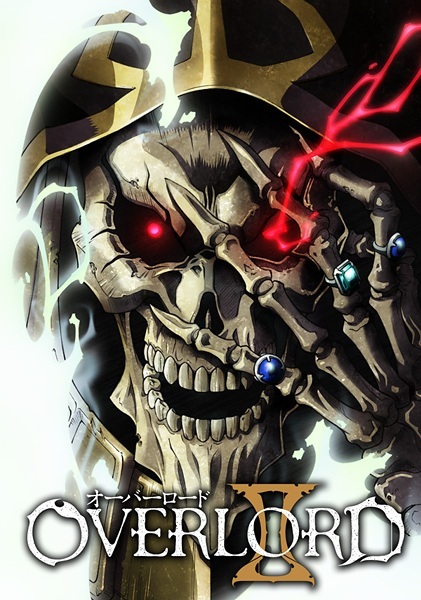 Winter 2018 to be exact. I’ve watched a lot of the first episodes for the new seasons to find some shows that are good for practicing Japanese. 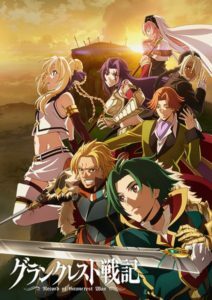 I was surprised by some anime I thought would be easy were actually quite tricky and vice versa. 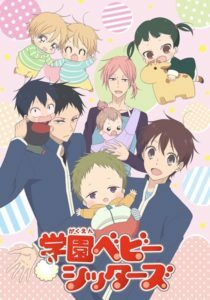 Gakuen Babysitters in particular is a great manga but the anime may prove tricky for some. I’ve ordered the anime from easy to difficult. Try and challenge yourself and I hope you have fun with the new season! 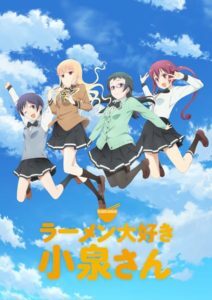 As a general rule try and watch the anime without any subtitles. 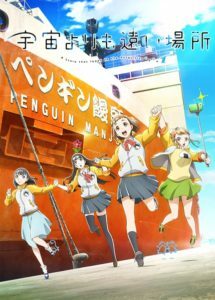 If you’re watching with Crunchyroll you can turn the subtitles off on the computer, but NOT a console (like PS4). All you have to do is right click on the screen and turn the subtitles off. Try and watch the whole thing in one go. Don’t stop and re-start to catch words. The goal is to gain as much Japanese from context as possible. If you keep stopping and starting to look up words you interrupt the natural flowing Japanese, and can become too reliant on dictionaries to understand something. If you felt you didn’t quite understand something at first you can re-watch the episode. Re-watching an episode over and over is great for picking up words/phrases you didn’t quite catch the first time. 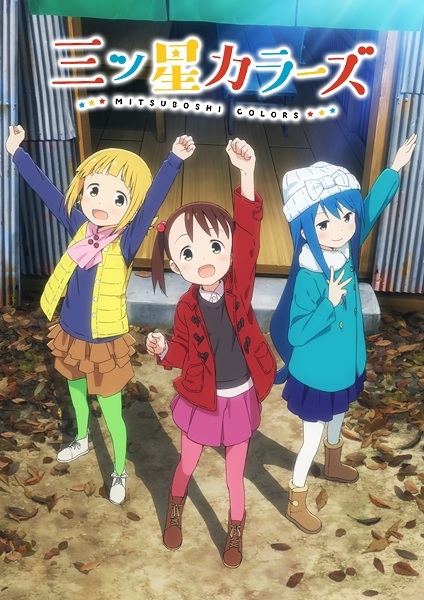 The Colors are a gang of three cute girls who hang out together and say they’re protecting the peace of their city. Male speak – Saito, an adult police office and Oya-ji, a shop over, both use more masculine Japanese that might be harder to understand. This means more casual Japanese with lots of “na” and “suka” at the end of their sentence. Great for short, simple and slow conversational Japanese. Does it Reflect Real Conversation? The conversations are mostly between young children. They use a mixture of casual and roughly polite Japanese (depending on the situation). Realistic, but be careful about mimicking or you may end up sounding like a child. Kouta loves Pom Pom Purin but is too scared to show it through fear that those around him will think he’s too girly. Then he find other guys who like Saniro characters! The Saniro Danshi! Some fast conversational parts. The play at the beginning could be difficult. Good visuals to the Japanese. Parts with slow conversations with short sentences. Yes! Has nice casual conversation between guys. 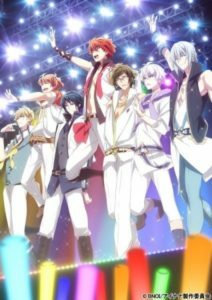 IDOLiSH7 are a newly formed idol group made up of 7 guys with unique personalities. Each character has their own way of talking. Although they’re mostly clear some speak more heavily masculine than others. The foreign character also has very strange Japanese (so no try to mimic or shadow his Japanese pronunciation). Formal Japanese including work introductions. The main female character’s Japanese is very easy to understand, although fast at times. Lots of conversational and informal Japanese. But still clear and fairly easy to understand (besides the foreigner character). Yes. Set in a business atmosphere there’s a good mix of keigo and polite Japanese between superiors and juniors, as well as casual conversation between the idol members. 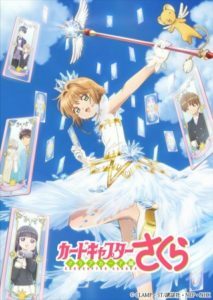 Sakura starts Middle School and with a new year comes new challenges when, after a mysterious dream, her Sakura Cards suddenly lose their magic and turn transparent! Kero’s Kansai-ben – Kero talks in very, very strong kansai-ben. He’s very hard to understand if you aren’t used to kansai-ben and similar accents. The Japanese in the anime and manga are very similar (although scenes have been moved around). So it’s worth reading the manga if you want reading practice. Yes! Great examples of conversational Japanese between friends and family. Cute slice of life anime about girls camping around Mt. Fuji. Accents – 3 out of 5 of the main characters have accents. Rin and Nadeshiko are the only ones with fairly standard Japanese. The local dialect may throw some people off if they’re not used to it. Lots of visual explanation of what the characters are saying. Rin likes to talk to herself and often uses short sentences. Also Japanese text combined with the spoken Japanese i.e Text messages and the cute pinecones talking. Yes! The characters use regular conversational Japanese when talking to themselves and others. When Rin talks to the camp owner they use standard polite Japanese you would expect from an interaction with a stranger. 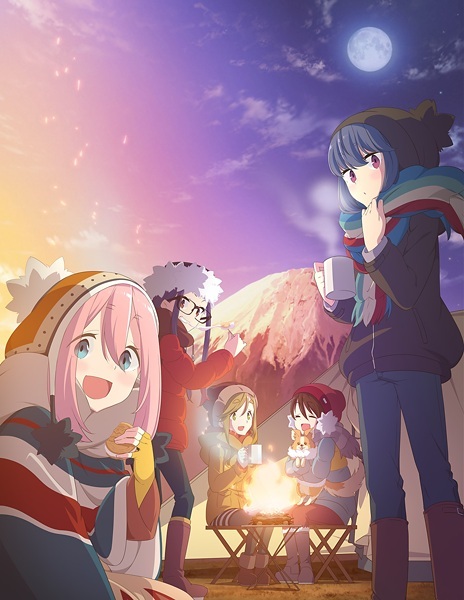 The narration about camping also uses standard polite Japanese. Yuu loves cute girls and instantly falls for Koizumi, wanting to become her friend. But Koizumi isn’t interested in other people and just wants to eat ramen. Ramen explanations – A few times when they’re explaining regional ramen the Japanese can get a little trickier. There’s also lots of text on screen that’s hard to read unless you pause it. Great for regular conversational Japanese between friends and family. Koizumi also uses polite Japanese (ます・です) and keeps her sentences short. Which is really easy to understand! All the characters speak regular conversational Japanese and use phrases you would expect to hear in real life. Koizumi’s polite Japanese is also very natural. Polite Japanese is often used to put distance between people so it fits her personality perfectly. Mari Tamaki is a second year at high school and wants to do something more with her life before she graduates. But she’s too scared to leave her comfort zone. That is, until she meets Shirase, a girl who wants to travel to the Antarctic, and inspires her to go with her. Fast conversational Japanese about some complicated ideas. You will learn なんきょく = Antarctic (南極 – south pole) quickly as it comes up again and again! But the challenge comes from talking about topics related to the Antarctic. Some great conversations between friends about how they feel. Easy to understand and has some great emotion and expressions common in everyday life. Yes and no. Conversational Japanese is very realistic and practical. But most people won’t have conversations about the Antarctic unless there’s something in the news about it. 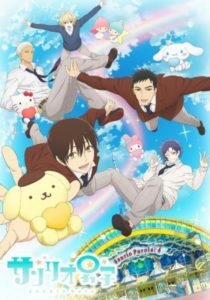 After Ryuichi and Kotaro’s parents pass away in a plane accident they’re taken in by a school principle who lost her son. But in exchange for food, lodging and a new school Ryuichi must join the Babysitting Club to help take care of the teacher’s kids. Long explanations in keigo can be a little tricky to understand. Fast moving text can be tricky to read if you’re not used to it. Children’s Japanese – The toddler’s Japanese can be hard to understand as they use baby talk. Polite Japanese used between some of the characters which is great です・ます practice. Some keigo used in these instances which is great keigo practice. Yes and no. Conversational Japanese is very realistic and practical. But there are a mix of lots of different kinds of Japanese ranging from baby talk to keigo to old lady Japanese. Great at getting a range of Japanese but can be a challenge if you’re not used to switching. Hana Ichinose enrolled in school late, making her a year older than all her peers. Nervous and socially awkward she tries her best to make some new friends. Text messages and kanji. The written Japanese can be difficult if you’re not used to reading kanji. Some points with long sentences and fast talking, as well as sections where characters talk over each other. Lots of phrases useful for self-introductions. Yes. Conversational Japanese between girls. Fast talking at points but great for following the flow of a conversation. On a continent ruled by chaos, the Lords have the power of a holy seal that can calm the chaos and protect the people. However, before anyone realizes it, the rulers cast aside their creed of purifying the chaos, and instead start to fight each other for each other’s holy seals to gain dominion over one another. More difficult Japanese to fit a fantasy setting. More difficult terms and longer sentences. Made up magic, places and universe so lots of unfamiliar words. Great advanced Japanese and keigo practice. Also great if you’re interested in fantasy Japanese. 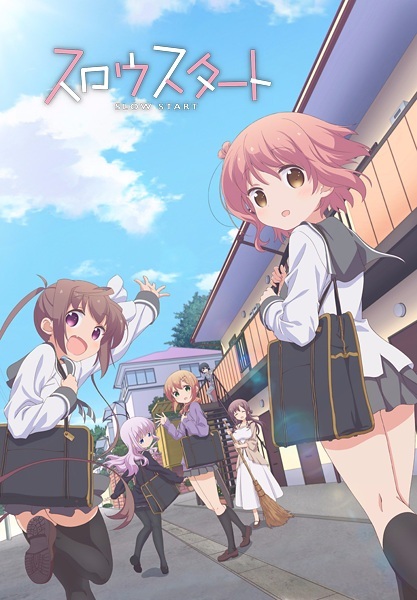 Originates from a light novel if you wish to practice reading more advanced and fantasy based Japanese. No. You’re unlikely to be talking about chaos, magic and crests in a real life situation. 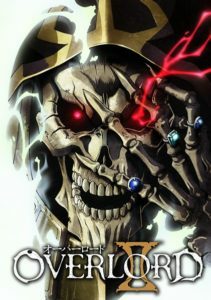 The sequal to Overlord, an anime about Momonga who becomes trapped inside his lich avatar just as his favorite MMORPG is about to be shut down. He’s also transported to another fantasy world and the NPCs have formed personalities of their own. He must use all his wits to fight off enemies while trying to work out how to get home. Incredibly challenging vocabulary with high fantasy setting. A mixture of keigo, older Japanese and casual. Made up place, object, magic etc names. Fantastic for keigo and advanced Japanese practice. Great for understanding fast Japanese and complicated conversation. Originates from a novel which can be a great supplement to book kanji and vocabulary.